Your DGB for today is to contact your Members of Congress (are you best friends with the intern who answers the phone, yet?) and tell them you do NOT want Trump’s tax bill anywhere near your wallet. Trump ran on a populist message. To the “forgotten men and women” he promised economic relief. The tax bill he and the GOP have cooked up is supposedly the delivery of that promise, but it doesn’t look like it to us. The bill proposes deep tax cuts to the wealthy and to corporations, with the idea that the money will - this sounds familiar - trickle down to the rest of us in the form of more and better-paying jobs. But all historical evidence tells us that these tax cuts will mostly result in more gold-plated toilets for the wealthy. In fact, the idea that POTUS himself would personally benefit from this bill is one of the most stomach-churning parts of this story. Another deeply concerning component of this proposed bill is that it appears the GOP has snuck in some language that would undermine Roe v. Wade. 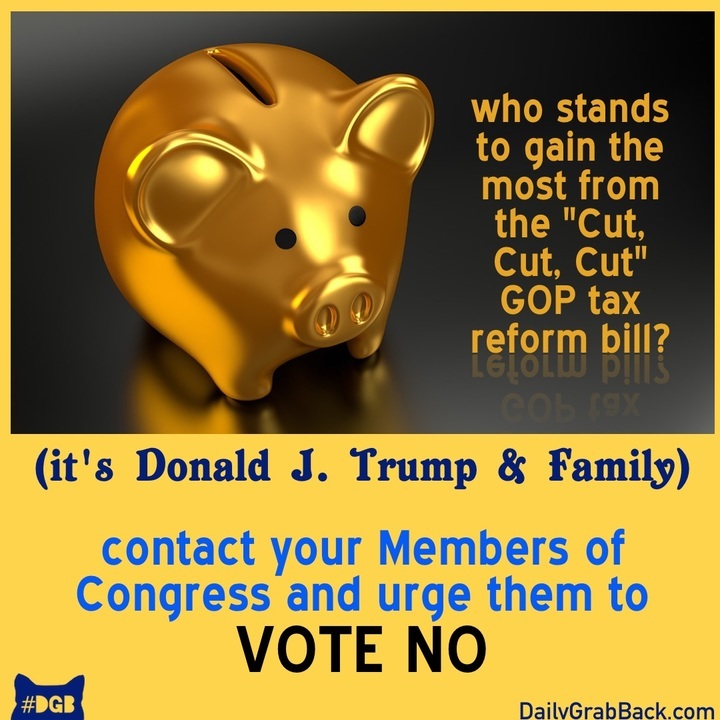 You can use Countable, Resistbot, or your trusty phone to tell your elected representatives that the GOP’s tax bill might mean a windfall if your last name is “Trump,” but for the rest of us, there’s no art to this deal.